Easy Office Phone, one of North America’s premier providers of Hosted PBX business phone service, is pleased to announce integration with some of the world’s most popular Customer Relationship Management (CRM) software packages, including Salesforce. Easy Office Phone announces that it has delivered integration between its Hosted PBX business phone service and popular CRM software packages such as Salesforce, Microsoft Dynamics and Sugar CRM. 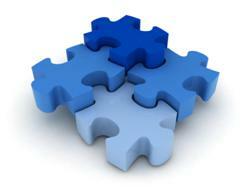 Integration is possible thanks to a strategic industry partnership with software developer InGenius. Tying together Hosted PBX and CRM was previously a sought-after but elusive goal for millions of businesses throughout North America. The benefits include shortened sales cycles, more efficient time management, improved customer relations, and increased productivity. These factors are particularly important for any company running a virtual call center. To deliver integration, Easy Office Phone leveraged a partnership with InGenius Software, a leading provider of VoIP-CRM integration solutions. The software connects Easy Office Phone’s Hosted PBX platform directly to the CRM, allowing the Hosted PBX to “talk” to the CRM. As a result staff can, for example, select a customer’s record from the CRM and “Click to Dial” to have their phone immediately place a call to that customer. Staff receiving incoming calls will see their screens “pop” the correct account and associated customer record using the incoming caller ID. Carl Watene, Easy Office Phone’s Vice-President of Sales and Channel Development, explained why this level of integration could be a game-changer for many businesses. Watene notes that the solution is able to accommodate a wide range of deployment scenarios, from large primary call centers to regional offices and even remote or home-based employees. The benefits of the integrated approach extend beyond calls to or from customers, he explains. Businesses can learn more about the solution by visiting http://www.easyofficephone.com/plans/virtual-call-center. Easy Office Phone is a leading North American provider of Hosted PBX phone service to organizations of all sizes. The company’s feature-rich platform offers numerous advantages over traditional alternatives. In addition to its core business telephone service, Easy Office Phone provides clients a custom-built Virtual Call Center software platform, called the “Call-In-1 Contact Center Solution.” Call-in-1 delivers robust call queuing, intelligent routing, and detailed performance tracking and reporting tools. InGenius, the leader in CRM-VoIP integrations, develops applications that seamlessly integrate customers’ telephone operations directly into their CRM environment. InGenius’ telephony expertise has given them a lot of experience working with telephony platforms, enabling them to deliver feature rich applications that integrate beautifully into various CRM platforms. For more information about InGenius please contact Sarah Ormon, at sales(at)InGenius.com.